The key to successful gardening is healthy soil. This basic principle of organic gardening applies to all plants, whether it is anchor trees in your landscape, flowers adoring a bed or a garden full of vegetables. 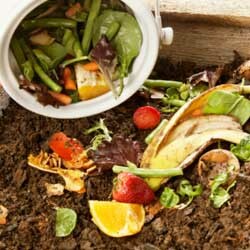 Quite simply, when you feed the soil the proper nutrients, you let the soil feed the plants. But how do you feed your soil? First, you need to understand some basic principles about soil and why it is so important, then you can take steps to improve it. To start, you should determine the soil texture by moistening the soil and rubbing it between your thumb and fingers to determine its feel. Sands are gritty and will barely hold together, clay can be squeezed into a firm, dense shape and silt will act in a way to allow particles to cling together. Sandy soils tend to dry out quickly because they contain high amounts of soil air. Clay soils, on the other hand have a tendency to pack together, shutting out air and water and minimizing evaporation. The best garden soil, loam, has moderate amounts of sand, silt and clay that balance together to provide good amounts of water and air. 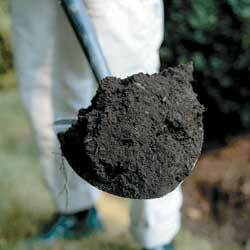 If your soil is mostly clay, you will need to add sand or other aerating materials to help loosen the soil. For sandy soils, humus should be added to help retain moisture and nutrients. Next, you must evaluate the soil structure. Soil structure is affected by soil pH, the amount of humus and the combination of minerals in the soil. Ideal soils allow particles to clump together with air spaces between them for water drainage as well as oxygen consumption and carbon dioxide release from plant roots. The best way to improve soil structure is to add high amounts of organic matter like humus, dehydrated manure, composted manure, mushroom compost, alfalfa meal, peat moss or worm castings. These materials should be mixed in with your soil and allowed to decay further, both for seasonal maintenance and whenever you are planting new items in your garden or landscape. A soil sample is needed to measure the pH and amounts of nitrogen, phosphorus and potassium in the soil as well as other nutrients. This will help determine exactly what the soil needs to provide the best nutrition to your plants. Our staff will help you read the results and determine what to add to your soil and how much. Generally, a pH of 6.0-7.0 is acceptable for most plants and landscaping. If your pH is lower than this, your soil is too acidic and requires lime to be added. If your soil is low in organic matter, it will often have a higher pH level. All plants require a proper balance of nutrients – nitrogen (N), phosphorus (P) and potassium (K). Soils lacking any one of these elements will not produce healthy plants. When dealing with poor or improperly balanced soils, obtaining healthy, ideal soil may take 2-5 years of dedicated work. 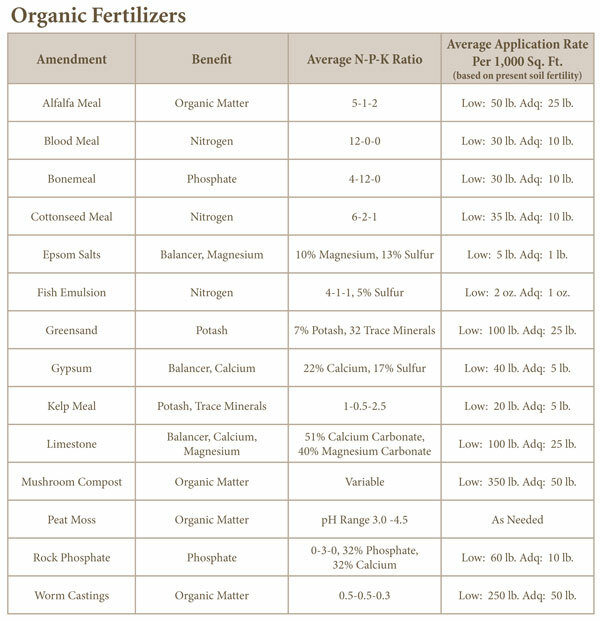 The best thing you can do to supplement your soil program in the meantime is to use various organic fertilizers to meet your plants’ needs and regularly add organic matter. This will continue to help improve the soil structure as well as create biological activity that is also a vital part to developing productive soil. Want to know what to add to your soil to nourish your landscape? This handy chart can help!